Express Yourself is an easy Check-In exercise at the beginning of the Retrospective that will visualize the team’s sentiment and help gather data early in the session. In many cases, it can be difficult for people to express their feelings and opinions especially if there are new team members or strong personalities. 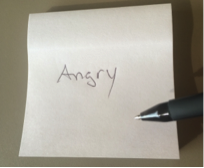 This activity allows each person an opportunity to briefly describe how they feel about the past Sprint or any predetermined topic. Why is this exercise useful? This exercise gets the team thinking about the events that triggered those feelings which can lead to deeper and more meaningful conversation in later exercises during the Retrospective. Since this is an opening activity, it is a quick way to gauge the team’s attitude coming into the session. Additionally, it will be a bit of a tease for those who are ready to jump right into the details. Oftentimes team members will go into the Retrospective with an issue in mind that they want to discuss and are very passionate about expressing their opinion. The Scrum Master should be mindful to keep the scope of the conversation on the team’s sentiment, not finding solutions. This should be done in later exercises. Also, make sure the conversation doesn’t carry on too long as this is just a warm up activity. 1. Draw a horizontal line or use tape on a white board or easel pad. Use the surroundings at your disposal. Find some space on a wall or window if necessary. 2. Place one post-it note at one end with a smiley face and one at the other end with a sad face to create the range of emotions. 3. Provide each team member with 1 post-it note. 4. 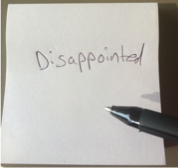 Allow the team 2-3 minutes to write one word that describes how they felt about the last Sprint or any given topic. 5. Have the team plot their post-it note on the range of emotions where they think their feeling best fits in. 6. Evaluate the range of emotions and discuss each one individually. 7. Ask the team who owns each of the feelings and have them explain why they felt that way. Note – Be sure the conversation does not carry past 8 minutes. The focus is on the team’s current emotions and the why behind them. Solutions to problems should not be discussed yet. 8. Once everyone has spoken, thank them for sharing their thoughts and move on to the next planned exercise.